Just a few quick words about this film of which I had the chance to see recently. 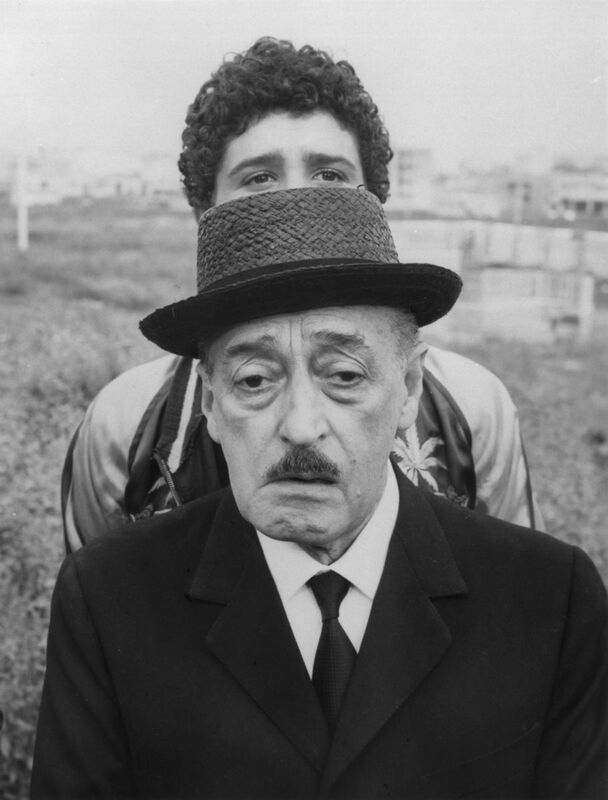 I must say that I am not always a fan of Pasolini. I feel that sometimes the message he tries to get across is far too ambitious or structured in a way that can go way over the heads of most audiences. I was however a fan of The Hawks and Sparrows. The film is far too playful, childish and cartoon like (in a good way) to go over the head of anyone. Some of the films set pieces are the most bizarre things. The events that are main characters encounter are so random and strange that they somehow seem to work together in a perfect way. The main reason I am choosing to write about this film is for its comedy. I sometimes found myself so out of the comfort of reality with the film that I had no choice but to laugh. Characters communicate with birds by making chirping noises and jumping up and down. A crow seems to be able to speak. While being shot at, our main characters run around in a sped-up cartoon-like manner, hiding in tunnels and running around in circles. All this sounds crazy, and yes it really is, but it works somehow. One last thing is on the films photography and editing. The film is cut together in such a unique way, the camera seems to want to frame the characters any way and every way it can. I guess this would seem jarring in any other film, but this film is so bizarre anyway that honestly it just adds to the effect. As you might be able to tell, this film is not for everyone. It is a very unique experience that will either leave you questioning what on earth just happened or leave you wanting more from these characters and their very funny but crazy journey (of which seems to lead no where.) With me the latter was very much the case, and I am glad I had the chance to see it. 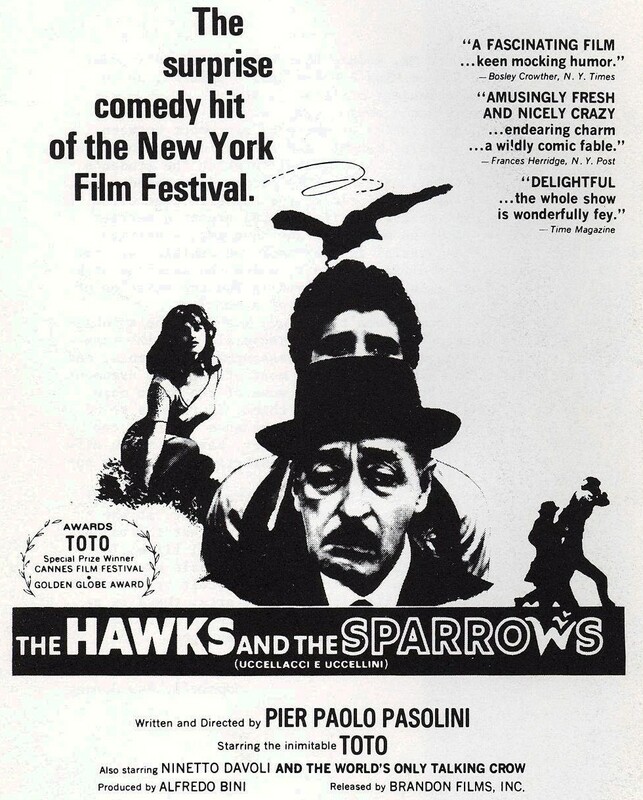 Have you seen the The Hawks and Sparrows or any of Pasolini’s other films? let us know what you think here at A World Of Film.